James Gandolfini was reportedly robbed on the same day that he died of heart attack in Rome almost two months ago. 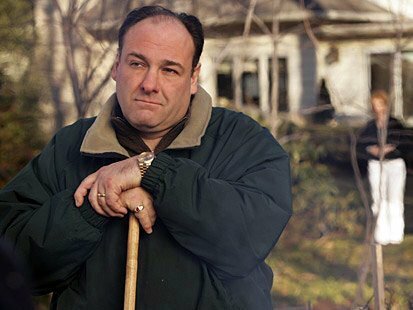 James Gandolfini’s expensive Rolex watch was stolen from his hotel room shortly after his life was tragically cut short. According to insurance forms obtained by TMZ, a $3,000 Rolex submariner timepiece went missing from James Gandolfini’s Boscolo Luxury Hotel Exedra suite. The form implies that the thief perhaps took the watch during the commotion following the heart attack that killed James Gandolfini. It states that there were no signs of forced entry nor any damage done to the room. James Gandolfini died following a massive heart attack during a family trip to the Italian city. He was vacationing with wife Deborah Lin and his 13-year-old son Michael when he collapsed in the bathroom of his suite at the city’s Boscola Exedra Hotel on June 19. James Gandolfini – best known for his role as mob boss Tony Soprano in hit HBO show The Sopranos – had spent the day sightseeing in Rome ahead of an expected flight to Sicily on June 22 to collect an award at the Taormina Film Festival.